Buying a new car can be an overwhelming and exhausting process—for first-time buyers and seasoned buyers alike. This is largely because when buying a vehicle most people do not have the time, patience, or industry expertise to scour the market, negotiate deals, compare rates, and confidently choose the best option. This situation often leaves people feeling like they’re not getting the best car or the best deal. As a result, more and more people are turning to auto brokers, people who do the car shopping for you, from start to finish. On your behalf, they’ll locate the perfect new or used car, diligently negotiate the best price, and even deliver the car to you. 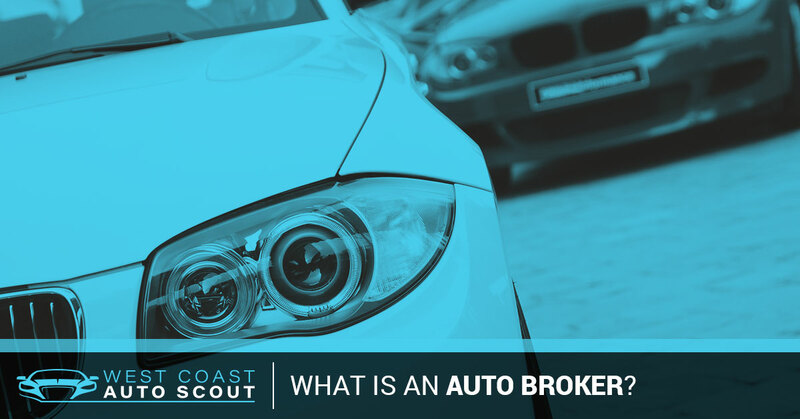 West Coast Auto Scout specializes in auto brokering. With 30 years of industry experience, a vast network of connections, and a deep understanding of the buying process, we have earned a reputation for helping buyers get the best possible deals. Still unsure exactly what you would gain with an auto broker? Read on to check out some of the advantages. For most people, it’s not an option to drive to each dealership, haggle, calculate the price— including financing, taxes, fees, add-ons, etc.—field offers, and procure the best deal possible. Having someone do all of this for you, and with your interest solely in mind, not only makes the car buying process hassle-free, but it also makes it much quicker than if you were to go it alone. To put it bluntly: car brokers possess an understanding of the industry that traditional car dealers don’t want or expect regular consumers to have. It is this understanding that gives brokers bargaining power. This competitive advantage coupled with access to a vast network of dealers ensures that you get the perfect car at the perfect price. When you work with an auto broker, you reap the benefit of having access to an expansive network of dealers. Experienced brokers typically have access to a nationwide database of dealers and private sellers, meaning if your dream car is out there, a broker will find it. In addition to working solely on your behalf, good car brokers also tend to be car experts capable of picking quality cars and avoiding lemons. This combination is a recipe for peace of mind. And at West Coast Auto Scout, for example, we back this up with a trusted mechanical inspection and comprehensive and detailed auto reports. We always have your best interest in mind. If you find the car buying process daunting and are in need of car buying services, consider contacting an auto broker. They simplify the process, eliminate the hassle, and leverage their expertise to secure the optimal deal for you. Looking for an auto broker in the Los Angeles area? West Coast Auto Scout is ready to help. Our experienced team of professional negotiators knows the ins and outs of the car business, and will do everything they can to make your life easier and ensure that you get the perfect car at the perfect price—and did we mention that in most cases, our fees are covered by the seller? To learn more, set up a free personal consultation today!